Your Gear S3 lets you make and receive calls right from your wrist. Your Gear S3 must be connected to your mobile device to make calls. Note: The provided information refers to the devices sold in Canada. The screens and steps shown below may vary by wireless service provider and your mobile device. 1. 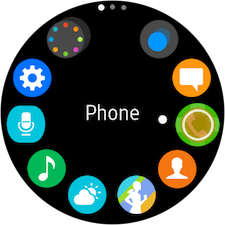 From the Watch screen, press the Home button. 3. Touch the Keypad icon to dial a number, or touch the Contacts icon to select a contact to call. In this example, we will enter a phone number. 4. 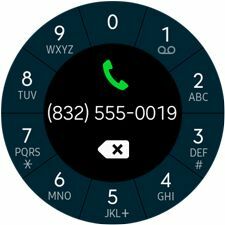 Enter the phone number you want to call, and touch the green phone icon to dial. 5. Touch the icons on the left to adjust the volume or mute the calls. 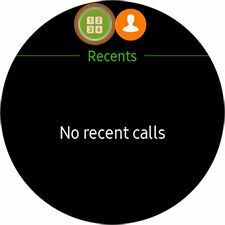 Touch the phone icon at the bottom of the screen to end the call. 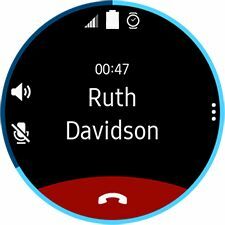 Gear S2: How do I forward calls to my Samsung Gear S2?